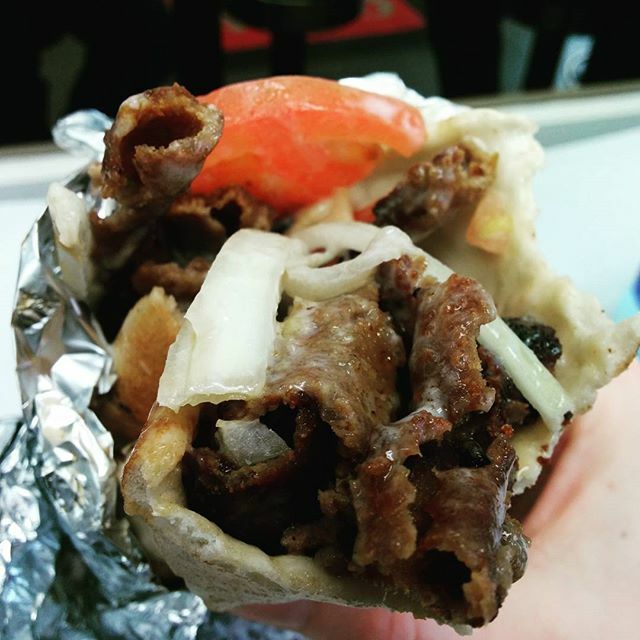 Over the last couple of years I have completed Donair Quests of Calgary, Toronto and Edmonton but you may have noticed that I haven’t touched on Halifax. This is an ambitious task, plighted by a heavy discourse of strong opinions and neighbourhood alliances. The spicysweet truth is that I’ve been researching the donair extensively – interviewing the OGs and shop owners, polling and scouring the internet and yes, eating donairs. I’m not ready to declare the best donairs in the city, but I am ready to divulge some history. I am going to be doing a Two Part Series about the History of the Donair. Part 1 will deal with the doner kebab and its journey around the world, eventually becoming the donair in Halifax. Part 2 will delve deeper into the Halifax origination story. I hope you enjoy! It probably didn’t take long for a forest fire to singe some animal and for the barbecue aroma to tantalize the local cavemen. We don’t know the exact date that humans started cooking with fire but we know it was a long frikkin’ time ago. As for more sophisticated methods of roasting meat, archaeologists have unearthed ancient barbecue racks meant to hold skewers in Santorini, Greece that are 2,500 years old! So it looks like shish kababs have been around a long frikkin’ time as well! The word “kebab” would eventually show up in 18thC Ottoman travel diaries describing a roasting, horizontal stack of meat. Etymologically, “kebab” comes from the roots “to fry” or “to burn” in various languages. In the present day, it basically means “grilled meat”. “Doner” comes from the Turkish word “donmek” (to turn). So “doner kebab” signifies meat that is cooked by turning it over a heat source (as opposed to “shish” or skewer kebabs). Shawarma, gyro, and the donair are all variations of doner kebab. And it all began in Ottoman Turkey. 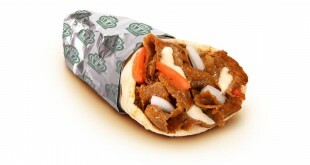 The real history of the donair begins with the vertical rotating spit, invented by Iskender Efendi in 1870. Prior to this, the horizontal rotisserie was the preferred method. The vertical spit allowed the fats and juices to trickle down the meat, rather than dropping straight onto the coals and singing it. He also modified the kebab by removing the nerves and bones from the meat, and thinly slicing it from the stack. This was the birth of the modern doner kebab! Today in Turkey, lamb is the preferred meat, but chicken and beef are also common. The thinly sliced meat is served on a plate with rice or fried potatoes and salad. It can also be served in Turkish pita (pide) bread. Döner Dürüm is doner meat wrapped in lavash (flatbread) and filled with ingredients like green salad, fried potatoes, pickles or hot tomato sauce. 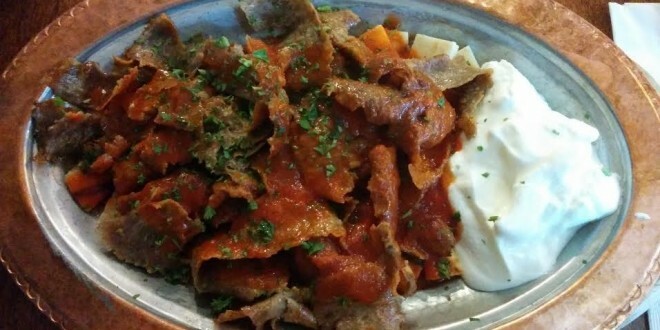 Another popular dish is Iskender Kebab: doner meat is served on top of pieces of pide bread and topped with a buttery tomato sauce and yogurt. The doner kebab spread around the middle east becoming the shawarma in Arabic countries, which would later transform into tacos al pastor in Mexico – but those are topics for another day. The doner is thought to have spread to Greece in the 1920s when Armenian and Greek refugees were fleeing persecution in Turkey (see: Armenian Genocide and Greco-Turkish War). Some food historians claim it was largely the Armenians who introduced it. The doner was eventually renamed “gyros” (yeer-ohs) in the 1970s in an effort to remove Turkish from the Greek language. “Gyros” means “to turn” or “to rotate” in Greek, and there is some evidence that the name was coined, or at least popularized, by Greek-Americans. 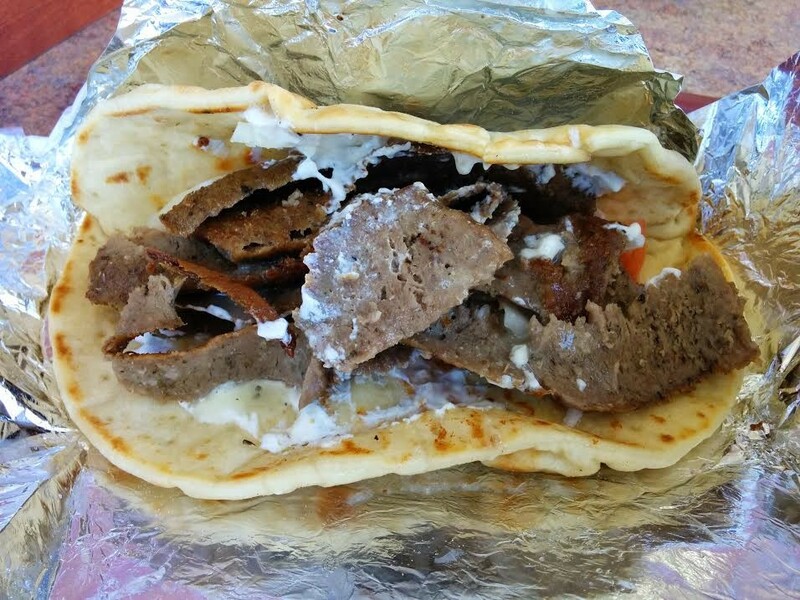 The Greek gyros is traditionally made from pork, but can also be lamb, beef or chicken. 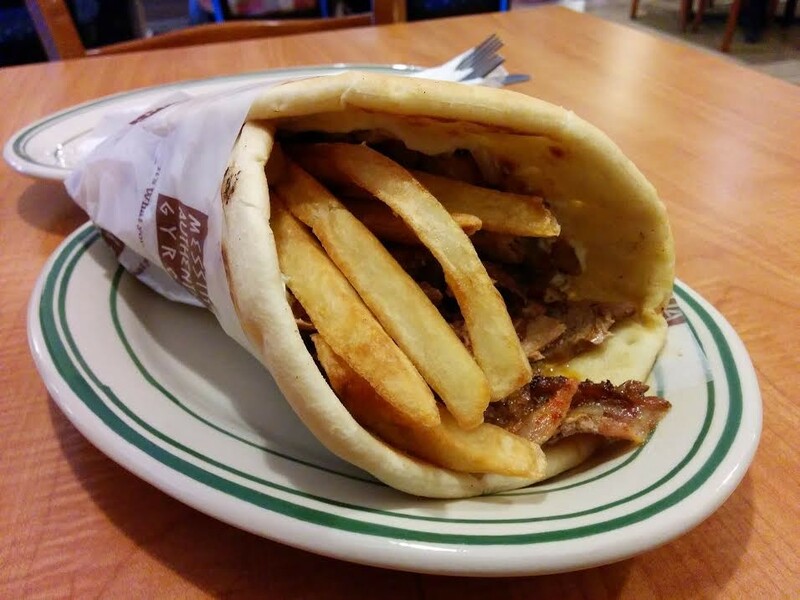 Slabs of meat are stacked together onto the spit, roasted and shaved into a thick Greek pita and filled with tzatziki, onions, tomato and French fries. Mayonnaise, and even ketckup and mustard are used in some places instead of tzatziki. I’m #teamnoketchup but to each their own! Some food historians claim that the gyro came to America via New York, and it was certainly popular there in the 1970s. However, there is much more literature about the history of the gyro in Chicago. George Apostolou claims to have served the first gyro in the USA, in 1965 at the Park View Restaurant in Chicago. He would also later open a gyros manufacturing plant in 1974: Central Gyros Wholesale. But according to legend (and a pretty legit article in The New York Times) the real founder of the American gyro was a Jewish Cadillac salesman from Milwaukee named John Garlic (good name, amiright?) who partnered with rottiserie-manufactorer, Peter Parthenis, forming Gyros Inc in 1973. Tom Pappas, of Gyros Inc. would refine the vertical broiler and develop the modern commercial recipe for gyros across the United States. In 1975 Chris Tomaras founded Kronos Foods which is now the largest manufacturer of gyros in the world. The American gyro (jie-roh) is marked by its manufactured homogeneity. The meat is a pressed loaf of ground meat (beef & lamb) because that is easier to mass produce and distribute. The beef overshadows the subtle lamb, likely due to the price and palate for beef in America. 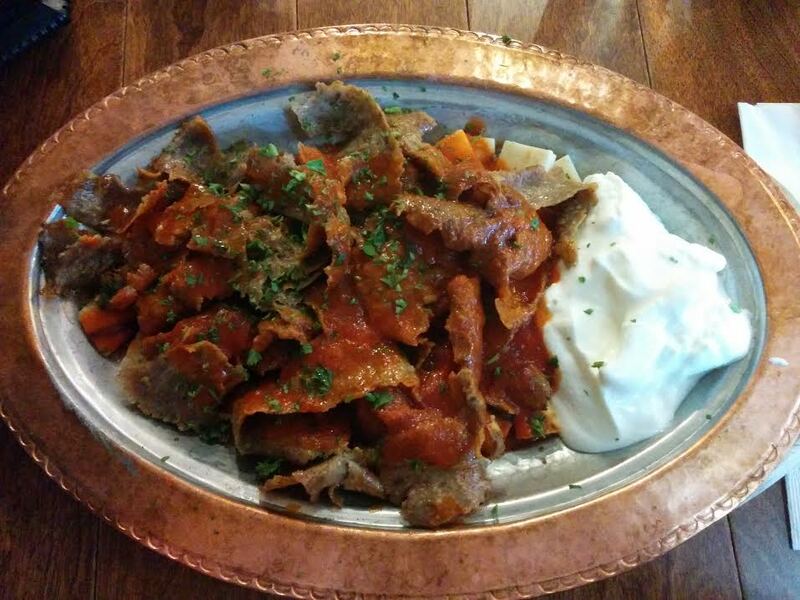 The uniform cones of seasoned meat are sliced into a Greek pita with tomatoes, onions and tzatziki sauce. This style of gyro spread all over the United States, though Chicago is still the epicenter. By the 1980s, Greek-owned hamburger shops were selling gyros in Toronto and surrounding areas. Germany has their own style of doner kebab thanks to a large migration of Turkish workers in the 1960s, filling labour shortages in the revivalist period after WWII. The kebab is the most popular street food in Germany, and they have the biggest market for it in the world! The German version, the döner kebap, was created in Berlin by either Mahmut Aygun (1971) or, more officially, by Kadir Nurman (1972). It is sometimes falsely stated that these men invented the doner sandwich – this had already existed for years in Turkey. What they did invent was a portable doner kebab suited to German palates. The German döner kebap can be lamb, beef, chicken or turkey. It is dressed with a salad of chopped lettuce, cabbage, onions, cucumber, and tomatoes, as well as spices and sauces like hot sauce, herb sauce, garlic sauce, or yogurt sauce. The bread used is commonly a large Turkish pide that is quartered, and wedges are stuffed in a sandwich style (though bread/style varies regionally). 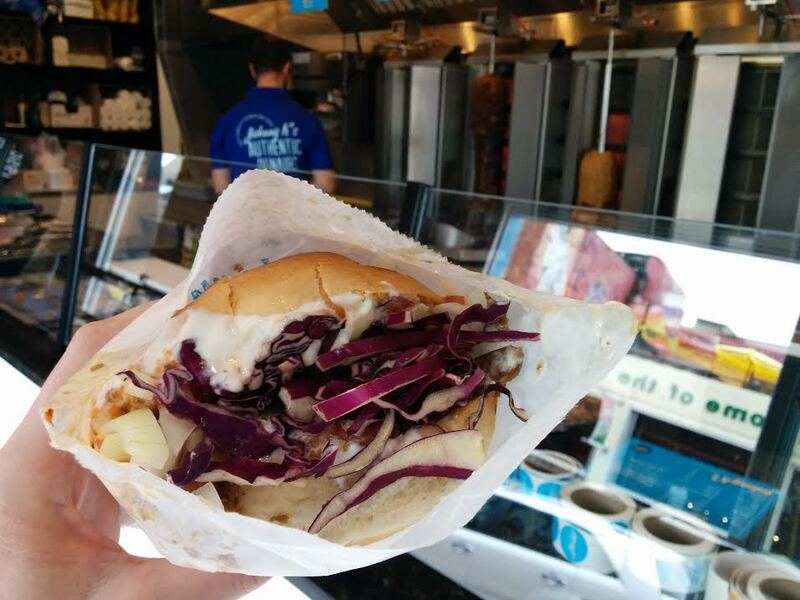 To reiterate: the döner kebap came into being in the early 70s and was not the first doner sandwich. This sandwich was a happy coincidence emerging at the same time as the Halifax Donair but in no way are they connected other than having parentage in the Turkish doner. Peter Gamoulakos, a Greek immigrant, tried to sell gyros to Nova Scotians in the early 70’s, but they didn’t have much of a palate for lamb and yogurt. So he adapted the recipe to Maritime tastes, substituting beef for lamb and a sweet sauce of evaporated milk, sugar and vinegar for tzatziki. He would go on to open King of Donair in Halifax – the world’s first donair shop. By 2015, the donair was declared the official food of Halifax. This concludes Part 1 of Donair History. Now that you know the historical and cultural roots of the donair, it will soon be time to divulge the donair origination story! Stay tuned and if you liked this post – please share! I am looking for film/video help to further my content on the donair and other Scotian foods. 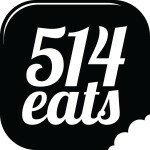 E-mail me: lindsay@eatthistown.ca and we’ll chat! 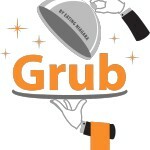 “Gyros: Not the Big Mac of Greek Food Anymore?” Washington City Paper. 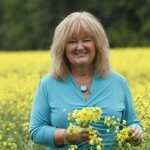 (2012). “Gyro Sandwich History”. What’s Cooking America. “Gyro (Food). Open Access Articles. “The History of Doner Kebab, Shawarma, Gyros and More”. Thrilllist.